Teachers, parents, and even children seem to love the notion that developing skills in one domain or practice will help another, far-removed ability – a concept that psychological scientists call “far transfer.” A particularly exciting version of this idea is that some activities — playing music, learning chess, or using brain-training software — could help young people do better in school. It is easy to entertain this idea: Chess players may seem to be brainier than average and members of the orchestra may appear to be honor-roll regulars. Psychological scientists have even found patterns of higher cognitive abilities in chess players and musicians. And researchers have found evidence that “near transfer,” in which skills gained in one practice apply to a related activity, can occur in some scenarios. Getting really good at indoor volleyball, for example, means you will probably do well at sand volleyball. A background in playing the clarinet is likely to help when you pick up the saxophone or oboe. But research suggests that we shouldn’t expect either of those activities to help us on a math test. In order to conclude that chess playing or music causes changes in attention, intellect, or other cognitive skills, researchers must conduct controlled experiments, randomly assigning participants into an experimental group and one (or more) control group. 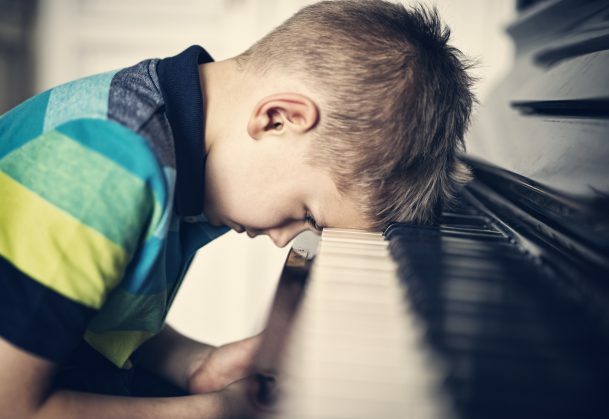 Some random-assignment experiments in the past have shown that kids assigned to play chess or take music lessons showed overall cognitive improvements, but others have shown little or no effects from similar practice. More recently, psychological scientists at the University of Liverpool found no support for far transfer in three meta-analyses covering different domains: music training, playing chess, and working-memory training. Initial results suggested that these activities do enhance cognitive processes, but closer inspection revealed no evidence to support far transfer. When the researchers looked at the results of individual studies, they found that the results from poorly-designed studies showed the largest effects from random-assignment experiments. Studies with more robust designs showed smaller effects, and the most rigorous studies showed small or no effects. One methodological shortcoming common among the poorly-designed studies, the researchers found, was a failure to include active control groups. In these studies, participants in the experimental group were put into music lessons or a chess practice program, while those in the control group did nothing. This is problematic because it creates a difference between the two groups – with only some students getting additional attention or even just a break from the school day. This difference can create an enthusiasm gap or placebo effect which has the potential to affect cognitive measurements in a misleading way. This recent research suggests that trained skills do not generalize well and the authors suggest that if we want to improve and excel at a particular skill, we need to practice that skill in particular. These findings have implications for school programs that make far transfer claims, such as music classes funded on the promise that they help improve students’ performance in other areas. They also cast doubt on the idea that brain training games or software produce broad cognitive benefits. When the researchers looked at data from programs designed to train working memory, they found that the training, for the most part, just made participants better at those exercises and not any other cognitive tasks.